The Parting is Jane Harris’s first printed art work. 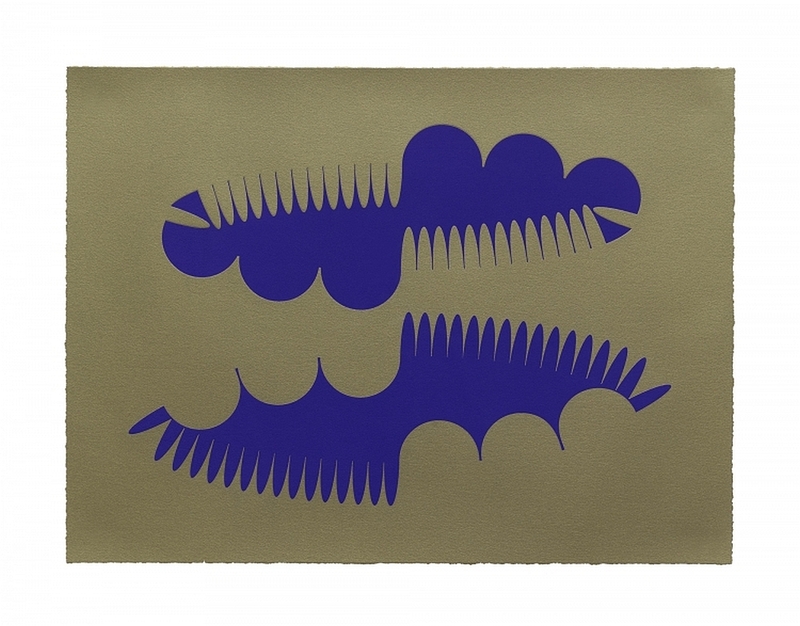 It comprises two ellipses, the formal ‘subject’ of all of her work; the embossed shapes are mirrored and inverted and their fluctuating edges defined by the bulges, peaks and frills which are trademark features. They have a fascinating ambiguity, suggesting all kinds of association with other things and inviting all manner of questions, are they solid objects or captured events?